This fact is seen most clearly in the pharmaceutical solution, which may provide temporary relief and the subduing of more manic tendencies, fails to address the spiritual dimension of man, excluding from the outset the psyche might be more than a series of neurons firing. The monetary and propagandist power of these corporations, combined with the power to dictate the results through the funding of their “objective studies” that vindicate the latest happy pill, disavow from the outset any other approaches, models or therapeutic applications. Despite the deep interconnectedness of the pharmaceutical industry with the intelligence agencies and psychological and biological warfare industries, few and far between are those who are willing to question this approach as a whole, due to the almost universal indoctrination of neo-Darwinian theory, which thus also preconditions all approaches to therapeutic psychology. With this in mind, it is understandable why “alternative” approaches and forms of therapy are derided and laughed at, as the goal of modern “health” is not the integration and healing of the person as a whole, but the chemical treatment of the effects of the problem. As with other fields of research, the “compartmentalization” of information is applied in psychology and medicine as it is in military information. The long-term plans and goals of the pharmaceutical industry and their pill-pushing doctors are ignored at the expense of short-term gains, but the difficulty extends much deeper than the standard left/liberal approach to this question, where the true ends of these industries are almost entirely ascribed to monetary gain. However the oligarchical elite that dominate the western establishment themselves have stated many times what the long-term goals of all these industries are, including “psychology” and the pharmaceutical application. This is why, for example, treatments for disorders that have a higher success rate with cannabis are demonized, while synthetic versions of the same chemical are offered for ridiculous prices. BBC reporter Bruce Parry, for example, logged several hallucinogenic rites and journeys that brought him to similar conclusions. Modern man’s lack of spiritual connection has allowed the return of ancient shamanism and paganism to reemerge with the 60s revolution. Unfortunately, the 60’s culture “revolution” was something engineered by elites in the pharmaceutical, banking and intelligence communities. Researchers Joe Atwill and Jan Irvin have done excellent work in demonstrating that claim here. The social engineering of revolution was in harmony with the Marxist plan of Theodore Adorno to, along with drugs, promote this very depersonalization and fragmentation through pop music. The loss of memory and its fragmentation is the same pattern seen in those with alters who lack integration with the core personality. 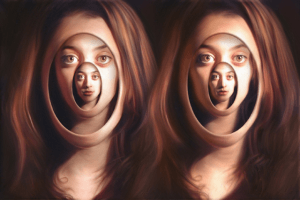 Extreme forms of schizophrenia demonstrate this in a profound way, where the psyche’s core is so fractured it appears to dissociate into incoherence. Alters, by contrast, appear to be structured to handle and absorb trauma, retaining a level of rationality and coherence, even in the split. My consideration is that perhaps as a result of the Fall, all of us are in some degree fragmented, while MPD/DID demonstrate more severe versions of the universal fragmentation. This is not to propose some new agey, generic dissolution of individual, on the contrary, the individual psyche needs to be unified, coherent and integrated. Psychology’s approach has been to attempt to integrate these various personae, and this makes sense, yet still lacks the possibility of considering man as a spiritual being with anous. If God exists, then the faculty that exists for unification and integration through the knowledge of God cannot be ignored.